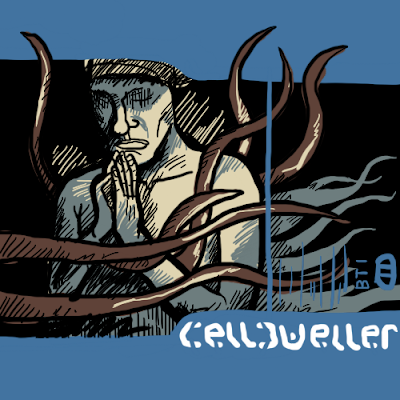 This album cover drawing project continues today with Celldweller's first album. From what I gather, it chronicles some guy stuck in some sort of metaphorical and/or physical cell. Alright, I'm not entirely sure what it's about, but it sounds awesome. Most of these albums will be ones that I listen to often or have neat-looking covers. If you want to request one, I'll consider drawing it.